110 Watts into 8 Ohms (Class A operation). 220 Watts into 4 Ohms (55 Watts Class A operation). 400 Watts into 2 Ohms (27.55 Watts Class A operation). Model M1.2 Reference represents top of the line in LAMM hybrid and solid-state audio equipment. Power amplifier model M1.2 Reference is a pinnacle of its designer’s professional career — a result of years of intensive research directed at attaining the most accurate reproduction of recorded music. Unique topology and application of the most advanced technological resources and processes bring the M1.2 Reference to a threshold of excellence in sound reproduction. A distinctive feature of the M1.2 Reference is its presentation of the extraordinary transparency of perceived sound which in turn assures the recreation of a three dimensional soundstage in the home, recording studio, etc. without boundaries and limitations.The M1.2 Reference is a masterful blend of design and engineering simplicity. It is a pure class A amplifier featuring high-speed MOS-FET transistors in the output stage with no overall feedback and special switch-selectable bias/voltage settings for 8- or 4-Ohm operation. 220 Watts into 8 Ohms (41 Watts Class A operation). 440 Watts into 4 Ohms (20.5 Watts Class A operation). 700 Watts into 2 Ohms (10.25 Watts Class A operation). 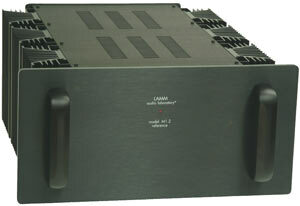 Model M2.2 is the most powerful amplifier in the line of LAMM hybrid and solid-state audio equipment. It is one of the best creations of its designer’s professional career — a result of years of intensive research directed at attaining the most accurate reproduction of recorded music.The M2.2 is a masterful blend of design and engineering simplicity. 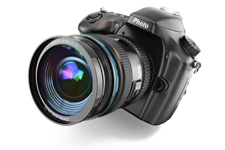 It assures the recreation of a three dimensional sound stage in the home, recording studio, etc. without boundaries and limitations. A distinctive feature of the M2.2 is the extraordinary transparency and localization of perceived sound.It is a pure class A amplifier, with the exception of the output stage which operates in a highly biased A/AB mode. The M2.2 incorporates high-speed MOS-FET transistors in the output stage with no overall feedback. Special switch-selectable biasing circuit maintains the optimal idle current of the output stage for all load conditions between 1-16 Ohms. It is a hybrid design with the one specially selected 6922 vacuum triode. 18 W single-ended monaural power amplifier with regulated power supply, and with high current low impedance power vacuum tube triodes in the output stage and voltage regulator. The ML2.2 single-ended power amplifier is a proud successor in a line of the ML2 series (the original ML2 and its replacement, ML2.1) and represents a new generation of single-ended power amplifiers with regulated power supply employing a unique high current low impedance power vacuum tube triodes 6C33C in both output stage and power supply. Implementation of these triodes allowed to create an output transformer with a very low turns ratio and, as a consequence, extended (as compared even to the most advanced modern vacuum tube amplifiers) frequency decade factor, as well as dramatically reduced leakage inductance. Chosen by the Design and Engineering Committee to receive the Innovations Award at the International Consumer Electronics Show in Las Vegas as the most innovative product of the year in the “specialty audio” category, the ML2 was a first single-ended amplifier on the market capable of reproducing a full range of audio frequencies and recreating the original spectral balance and harmonic structure of the recorded material with almost 100% accuracy. The designer’s unique vision and nuanced grasp of audio electronics has created an amplifier capable of capturing the essence of your favorite music like never before.The ML2.2 proudly continues this tradition. Whereas both – the ML2 and the ML2.1 – were completed products perfectly capable of functioning to the full of their potential without upgrades or modifications, it became the designer’s drive to expand the limits of this topology and introduce some features of the ML3 Signature into the ML2.1 design.The sonic result is a most seamless fusion of the ML2.1 and ML3 Signature that leaves the listener totally immersed in the music performance as well as pleasantly surprised at the palpable breathing presence of the music material. The ML2.2 is an amplifier that sonically is much closer to the ML3 Signature while pricewise is closer to the ML2.1. The meticulous build quality, high quality of parts and materials along with innovative topology make the ML2.2 a truly prized possession of any music lover. Single-ended tube amplifier with a separate power supply; 32 Watts continuous into 16/8/4 Ohms. Pure class A operation, no overall feedback; a very powerful direct-heated triode GM-70 (125W plate dissipation). XLR and RCA input connectors; built-in remote on/off for LAMM preamplifiers. The ML3 is a single-ended (SE) tube amplifier utilizing a very powerful direct-heated triode GM-70 (125W plate dissipation) and a separate power supply. Combining the most sophisticated technologies and electronic design with graceful looks reminiscent of the classic era of tubes, the ML3 is our top-of-the-line, no-compromise product.It is a 32-watt amplifier that operates in pure class A and utilizes no overall feedback. The topology is absolutely unique and incorporates one of the most advanced power supplies ever featured in an audio device. These factors, along with the designer’s unique vision and understanding of the underlying principles of audio electronics, make the ML3 an amplifier without peer.With the ML3 as the centerpiece of a high-end system, the recorded event is recreated in one’s listening room with astonishing verisimilitude. The listener is able to experience an ephemeral yet tangible connection to the essence of the music. These are not empty claims. Those who have listened to the ML3 firsthand have unanimously acknowledged this phenomenon and have reported it to be utterly unique in their collective experience.SE tube amplifiers, in general, have the potential to reproduce music with greater realism than any other amplifier type or topology. The reality, however, is another thing because of the limitations inherent in most designs. These amplifiers can sound lovely in the midrange but their low and high frequency reproduction leaves much to be desired. The ML3 overcomes these obvious limitations. The resultant sound is strikingly similar to the live event. Along with the ML2.1, the ML3 is practically the only SE tube amplifier available capable of reproducing an entire range of audio frequencies – not just the exquisite midrange but also the most natural and extended bass and high frequencies. The amplifier’s innovative circuitry enables it to recreate the original spectral balance and harmonic structure of the recorded material without losing even the tiniest details and nuances. Due to its extraordinary transparency, the ML3 is also unmatched its ability to recreate a three-dimensional soundstage without boundaries and limitations. As with the ML2.1, the ML3 brings out the most natural sound performance inherent in the signal and unequivocally demonstrates what a properly designed single-ended amplifier can do. Line level vacuum tube preamp featuring 3 inputs, 1 tape loop, single-ended outputs, class A design, power supply with a full-wave vacuum rectifier, attenuator for gain reduction by 15 dB, and built-in remote on/off for LAMM amplifiers. (+ 0dB) 20 Hz, 20 KHz. (- 3dB) 1.5 Hz, 400 KHz. 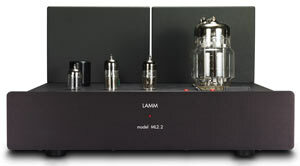 Model LL2.1 is the next generation of the original LL2 which was the first in the line of LAMM vacuum tube preamplifiers. Unique topology and application of the most advanced technological resources and processes bring the LL2.1 very close to the threshold of excellence in sound reproduction. 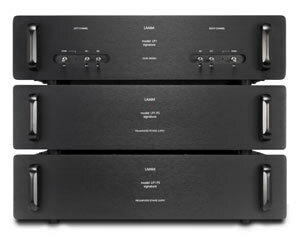 A main distinction of the LL2.1 from any other comparable type of preamplifiers is its almost inaudible sonic signature. 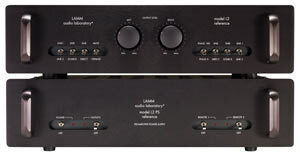 When connected to an appropriate type of power amplifiers, especially LAMM amplifiers, it assures the recreation of a three-dimensional soundstage without boundaries and limitations.1 The LL2.1 features a topology that brings out the most natural sound performance in the audio path, as well as graceful and sophisticated design. It employs a pure class A operation from input to output; all stages are single-ended. The preamplifier’s audibly neutral power supply features a full-wave vacuum rectifier. This rectifier, together with a choke-containing filter, allows to practically get rid of the hum and buzz and, in the end, to ensure the verity of dynamic range without coloration. Other features include 3 inputs; 1 tape loop; 2 sets of outputs; front panel muting switch; attenuator for gain reduction by 15 dB; built-in remote on/off for LAMM power amplifiers; protection circuitry coupled with automatic mute at turn on/off. Line level hybrid preamp with a separate power supply. Three inputs plus tape/processor loop, balanced and single-ended outputs. Zero-feedback design featuring tube rectifier, choke contained filter, vacuum tube regulator, and built-in remote on/off for LAMM AUDIO LABORATORY amplifiers. 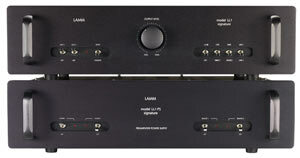 Model L2.1 Reference represents top of the line in LAMM hybrid and solid-state audio equipment. It is one of the best creations of its designer’s professional career–a result of years of intensive research directed at attaining the most accurate reproduction of recorded music. Unique topology and application of the most advanced technological resources and processes bring the L2 near the threshold of excellence in sound reproduction. A main distinction of the L2 from any other comparable type of preamplifiers is its almost inaudible sonic signature. 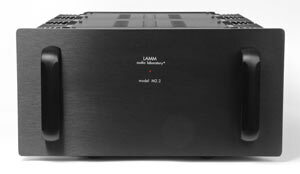 When connected to an appropriate type of power amplifiers, and especially LAMM amplifiers, it assures the extraordinary transparency of perceived sound and recreation of a three-dimensional soundstage in the home, recording studio, etc., without boundaries and limitations.The L2 features a topology that brings out the most natural sound performance in the audio path, as well as graceful and sophisticated design. Its unique circuitry utilizing specially selected super-linear high voltage MOS-FET transistors ensures a class A operation from input to output, with no overall feedback at any stage. All stages, including high current output buffers, are single-ended. A unique electronic protection circuit enables manual muting of the outputs until the preamplifier has stabilized after a turn-on; it also enables functioning of the preamplifier in a “muting” mode during operation and automatic switching to muting in case the AC line voltage drops or is interrupted. Other features include 3 inputs; 1 tape loop; output signal phase switch; balanced and single-ended outputs; and built-in remote on/off for LAMM power amplifiers.The L2 has a separate power supply that utilizes a choke contained filter, vacuum tube rectifier and voltage regulator. Monaural line level vacuum tube preamplifier with a separate power supply featuring a full- wave vacuum rectifier. Class A single-stage low-noise design. Three inputs, 1 tape loop, attenuator for gain reduction by 12 dB, single- ended and pseudo-balanced outputs. Built-in remote on/off for LAMM amplifiers. (-0.1dB) 20 Hz, 20 KHz. (-3dB) 5 Hz, 140 KHz. The monaural line level preamplifier model LL1 Signature is the ultimate statement of perfection in High-End audio. Just like ML3 Signature is the best creation of its designer’s professional career among the LAMM amplifiers, so is the LL1 Signature among the line level LAMM preamplifiers.The LL1 Signature has been designed to complement the ML3 Signature amplifier, and this combination in a system represents a “match made in heaven”. However, the LL1 Signature will perform magic with any other appropriate power amplifier.The LL1 Signature features a topology that brings out the most natural sound performance in the audio path. In principle, it is a single-stage unit that basically represents the shortest possible signal path. Dual monaural pure vacuum tube phono preamplifier with 2 separate inputs for MM and MC cartridges. Single-ended pure class A high current design. The preamp utilizes 6C3P and 6C45P-E vacuum tubes. Accurate passive RIAA EQ network. 20 Hz – 20 KHz: better than + 0.0 dB/-0.5 dB. The LP2.1 is a dual-mono vacuum tube phono preamplifier with two electrically and mechanically separated channels. It features a topology that brings out the most natural sound performance in the audio path, as well as graceful and sophisticated design.The preamplifier operates in a pure class A mode from input to output. High-current drive capability, in combination with unique single-ended class A circuitry, enable the preamplifier to drive any cable and any reasonable real world load, while maintaining its practically inaudible sonic signature. When connected to the appropriate type of electronics, and especially LAMM amplifiers and preamplifiers, it assures the extraordinary transparency of perceived sound and recreation of a three dimensional soundstage in the home, recording studio, etc. without boundaries and limitations. Dual monaural pure vacuum tube phono preamplifier with two separate power supplies featuring full-wave vacuum rectifiers. Three separate inputs for MM and MC (two inputs) cartridges. Single-ended (pure class A) high current design. All amplification stages utilize low noise high transconductance vacuum triodes. Accurate passive RIAA EQ network. The dual monaural phono preamplifier model LP1 Signature is the ultimate statement of perfection in High End audio. Just like the ML3 Signature and LL1 Signature, the LP1 Signature is one of the best creations of its designer’s professional career.The LP1 Signature has been designed to complement the ML3 amplifier and the LL1 preamplifier. It completes the Signature Series triad and, in combination with the other two Signature components, represents a “match made in heaven”. However, the LP1 Signature will perform its magic in any system provided it is of sufficient quality.The experience of listening to the LP1 is a unique one. It is, at once, intimate and expansive—as if being transported to a space that belongs to just the listener and the music as they merge with one another. With no electrical artifice to impede communication, a greater understanding of the music is immediately possible. Thus enabled, the listener can enjoy each and every musical element locked in the LP’s grooves with newfound depth, profundity and insight.The LP1 Signature features a topology that brings out the most natural sound performance in the audio path. The main distinction of the LP1 Signature from any other comparable type of preamplifiers is its almost inaudible sonic signature. When connected to the appropriate type of electronics, and especially LAMM amplifiers and preamplifiers, it assures the extraordinary transparency of perceived sound and recreation of a three dimensional soundstage in the home, recording studio, etc. without boundaries and limitations. The LP1 Signature is a vacuum tube preamplifier that employs a high current pure class A operation from input to output. No loop feedback is employed.